PQWT-TC700.600M automatic mapping water detector is based on the Earth's electromagnetic field as the field source, based on the difference in the conductivity of different underground geological structures, and by studying the variation law of the electric field components at different frequencies to study the geological structure and changes, to find groundwater resources by scientific method. Changes in geological structure are displayed in real-time through multiple curves. Automatic form mapping geological profile by one key operate easily, get rid of complicated computer graphics. The site can quickly understand the geological structure through the automatic mapping curve and profile, and analyze specific information such as aquifers, fractures, faults, and caves. 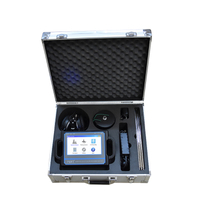 The instrument is widely used in the rapid analysis of geological structure changes in different terrains such as plains, hills, mountains, plateaus, and basins to determine well locations, aquifers, and aquifer depth. 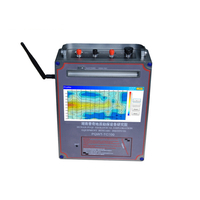 PQWT-TC500.500M automatic mapping water detector is based on the Earth's electromagnetic field as the field source, based on the difference in the conductivity of different underground geological structures, and by studying the variation law of the electric field components at different frequencies to study the geological structure and changes, to find groundwater resources by scientific method. Changes in geological structure are displayed in real-time through multiple curves. Automatic form mapping geological profile by one key operate easily, get rid of complicated computer graphics. The site can quickly understand the geological structure through the automatic mapping curve and profile, and analyze specific information such as aquifers, fractures, faults, and caves. 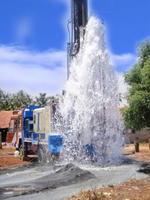 The instrument is widely used in the rapid analysis of geological structure changes in different terrains such as plains, hills, mountains, plateaus, and basins to determine well locations, aquifers, and aquifer depth. 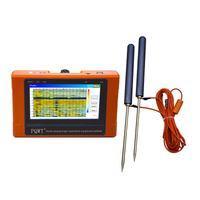 PQWT-TC150.150M automatic mapping water detector is based on the Earth's electromagnetic field as the field source, based on the difference in the conductivity of different underground geological structures, and by studying the variation law of the electric field components at different frequencies to study the geological structure and changes, to find groundwater resources by scientific method. Changes in geological structure are displayed in real-time through multiple curves. Automatic form mapping geological profile by one key operate easily, get rid of complicated computer graphics. The site can quickly understand the geological structure through the automatic mapping curve and profile, and analyze specific information such as aquifers, fractures, faults, and caves. 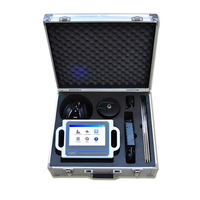 The instrument is widely used in the rapid analysis of geological structure changes in different terrains such as plains, hills, mountains, plateaus, and basins to determine well locations, aquifers, and aquifer depth. 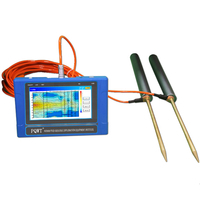 PQWT-TC300.300M automatic mapping water detector is based on the Earth's electromagnetic field as the field source, based on the difference in the conductivity of different underground geological structures, and by studying the variation law of the electric field components at different frequencies to study the geological structure and changes, to find groundwater resources by scientific method. 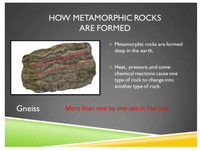 Changes in geological structure are displayed in real-time through multiple curves. Automatic form mapping geological profile by one key operate easily, get rid of complicated computer graphics. The site can quickly understand the geological structure through the automatic mapping curve and profile, and analyze specific information such as aquifers, fractures, faults, and caves. 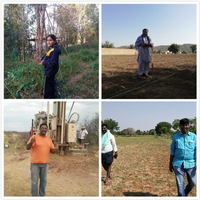 The instrument is widely used in the rapid analysis of geological structure changes in different terrains such as plains, hills, mountains, plateaus, and basins to determine well locations, aquifers, and aquifer depth. 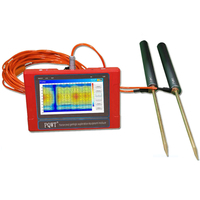 PQWT-CL500.5M Pipe Water Leak Detector is a professional instrument for water leakage from water supply companies, heating companies, municipal construction companies and property companies. 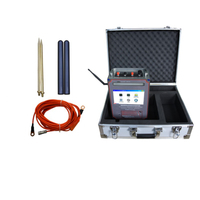 They are mainly used to find and determine the location of leakage points of water supply pipeline, and they can also be used to detect the leakage of other pressure piping systems. When the fluid in pipeline erupts through leakage source due to the pressure, the noise produced by the impact on internal wall will spread along the pipeline or along the buried layer medium to the ground, and the instrument determines the leakage source through the amplification of leakage noise and the analysis of the spectrum signal. 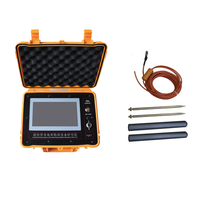 PQWT-CL300.3M Pipe Water Leak Detector is a professional instrument for water leakage from water supply companies, heating companies, municipal construction companies and property companies. They are mainly used to find and determine the location of leakage points of water supply pipeline, and they can also be used to detect the leakage of other pressure piping systems. When the fluid in pipeline erupts through leakage source due to the pressure, the noise produced by the impact on internal wall will spread along the pipeline or along the buried layer medium to the ground, and the instrument determines the leakage source through the amplification of leakage noise and the analysis of the spectrum signal. 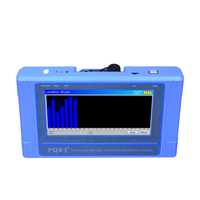 PQWT-CL200.2M Pipe Water Leak Detector is a professional instrument for water leakage from water supply companies, heating companies, municipal construction companies and property companies. 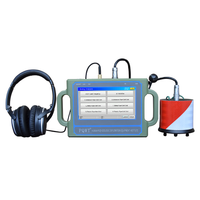 They are mainly used to find and determine the location of leakage points of water supply pipeline, and they can also be used to detect the leakage of other pressure piping systems. When the fluid in pipeline erupts through leakage source due to the pressure, the noise produced by the impact on internal wall will spread along the pipeline or along the buried layer medium to the ground, and the instrument determines the leakage source through the amplification of leakage noise and the analysis of the spectrum signal. Where to Drill for Water? 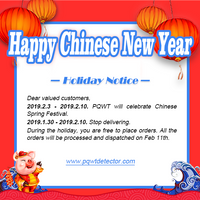 PQWT is a professional institution in China who engaged in the R & D, manufacturing and sales of underground water detector, water leak detector, leakage automatic analyzer, cavity detector, mine locator, dam piping detector, and borehole inspection camera.